Here the microphones I use for my voice-over recordings and for the audio I use in my Stayf Draws YouTube videos. You will find links to the Amazon.com and Amazon.co.uk. These are affiliate links. So if you buy something I will get a small percentage of the sale. This will help me to make more reviews like this. 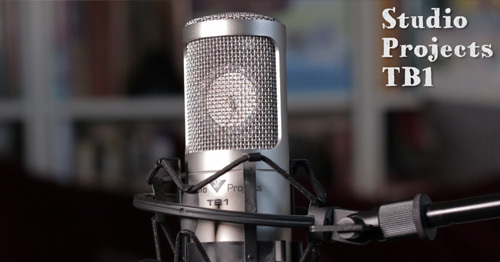 The TB1 is an inexpensive fixed-cardioid tube microphone. I do all my voice-over recordings with it and I also use it for most of my YouTube videos. I have this microphone for more than 15 years and it never fails me. The microphone comes in a flightcase. It includes an elastic shock mount, a dedicated power supply (110/220V) and a 7 pin power cable. This mic was redesigned in 2006. I still have the old version which was made by 797 Audio. But the new version has an improvement of 2dB in sensitivity. There are some comparison tests with the RODE Classic II. That is a high range mic and costs around € 2,000. The Rode Mic sounds bigger and has a better midrange, but the TB1 comes close to it. To transfer the analog signal I have an M-Audio Mobile Pre USB converter that is plugged in to my Mac Pro. I have recorded this bit with the Rode i-XY on my iPhone 5S in the Rode Rec app. 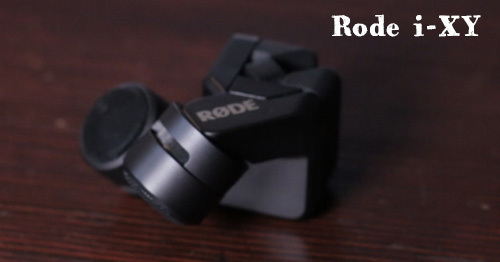 The Rode i-XY or Rode ixy is a recording microphone for your iPhone or iPad. The Rode i-XY comes in a handy protection zip case that you can also lock on to your belt. It has a foam windshield for outdoor recordings. The mic has a 30 pin connection you can shove on your iPhone. Through the Rode recording app you can record sound up to 24-bit/96k. You can make great stereo recordings with it. Like recording acoustic instruments or sound effects outside or inside. Unfortunately this Mic does not work on my iPhone 6s. So I use my iPhone 5s to do all my recordings with. You can then transfer your files in the cloud, like Dropbox, Soundcloud or through FTP. 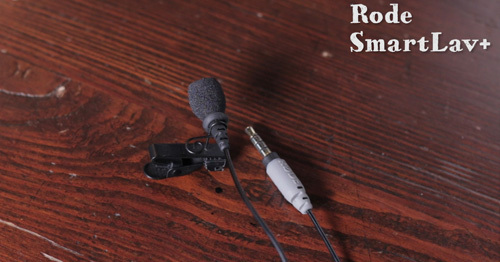 The Rode SmartLav+ is a microphone you can use with your smartphone or tablet. It comes in a a handy pouch. The mic has a TRRS connection so you can also record from your laptop, or Macbook Pro. The mic has foam pop shield to minimise wind and vocal plosives like hard b, t, and p sounds. and also a mounting clip for on your jacket or shirt. You can also record everything in the Rode Rec app that is available for Android and iOs. I use this microphone when I am on the go or if I have to record something quick. It also works great with the film app Filmic, but I will do a review about that in another video. The SmartLav+ does not have the greatest sound, but for the small microphone it does a good job.